← Been a little busy with celebrations! so now my hare painting is finished I decided to tidy up and finish some of my old paintings….. Some from over a year ago. I decided to start with the beagle, which to be frank I had lost interest in. Now it maybe very inexperienced of me, but I started him in acrylics, and decided yesterday that I would do the next layers in oil, as that is my fav medium of the moment ( until I try gouache). He has become much lighter in colour than I had first intended, mainly because the colours I had out,in the palette where the tones I decided to make him ( rather than wasting paint) I think he looks ok lighter in colour, and I can darken a little when I do the next stage in two weeks. Is it very wrong to use oil over acrylic? Will it be ok? 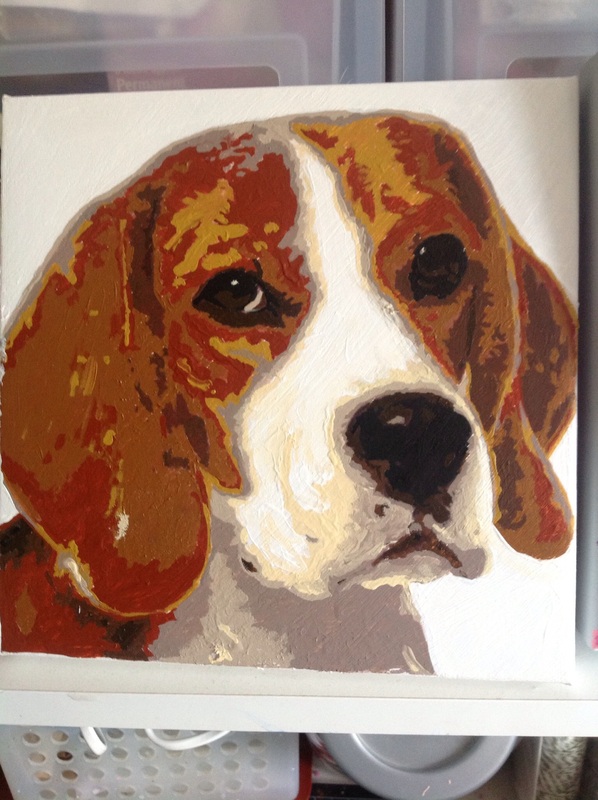 i will update you with the beagle, next layer ( and hopefully finished )in a week or two. Unfinished acrylic base layer, then I lost interest! A year later…. Oil over acrylic?? Is this the wrong thing to do? Wait to dry then comple the painting. 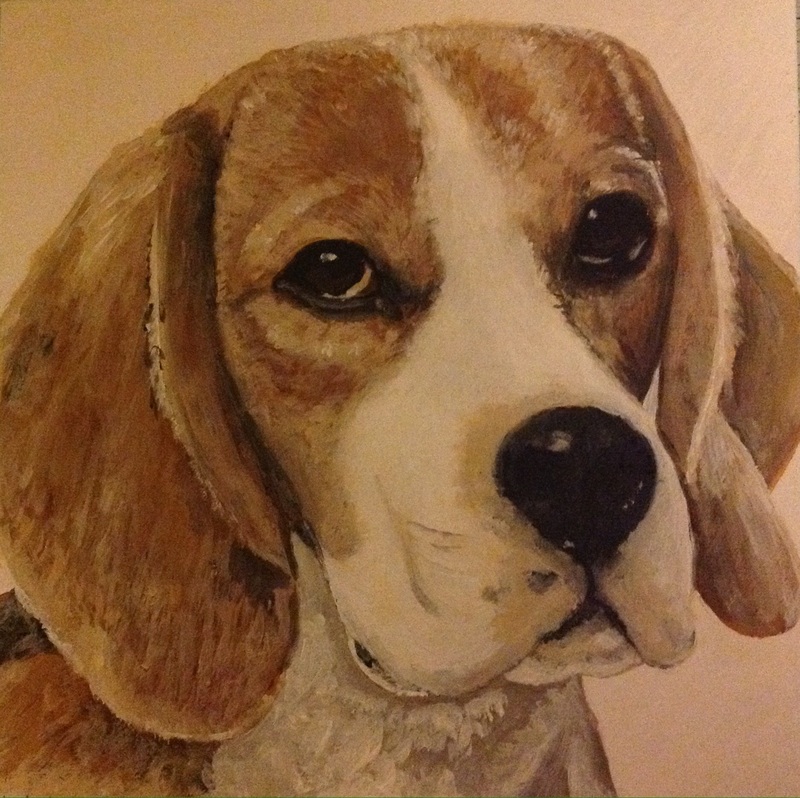 This entry was posted in Acrylic painting, Beagle, dog and tagged acrylic painting, Beagle, Oil painting, oil painting. Bookmark the permalink.